The 2012 Carl Zeiss Photo Contest has taken an interesting twist this year. The contest is now open to photographers using any kind of Zeiss lens. Whether it's affixed to a rangefinder, SLR, DSLR or a smartphone fitted with a Carl Zeiss lens. Yep, the Nokia Lumia Windows Phones, fitted with a Carl Zeiss lens, qualifies for the annual photo contest. This year's contest theme is "the moment that knows no limit" and entries can be submitted at the official Carl Zeiss Lenses Group on Flickr. You'll need to tag your entries with the keyword "ZEISSContest2012" and the last day to enter is January 15, 2013. You can find all the fine print on the contest at the Zeiss Contest Website. So? Do you think a Lumia 920 will be in the final grouping? 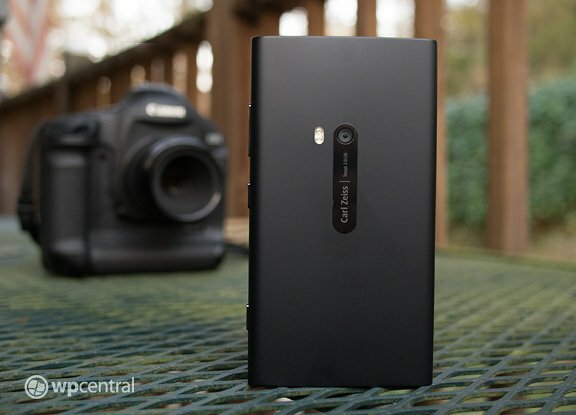 Maybe the Lumia 900? It will be interesting to see how the Lumia Windows Phones hold their own in this contest. Source: DPReview; Thanks, Chris, for the tip!